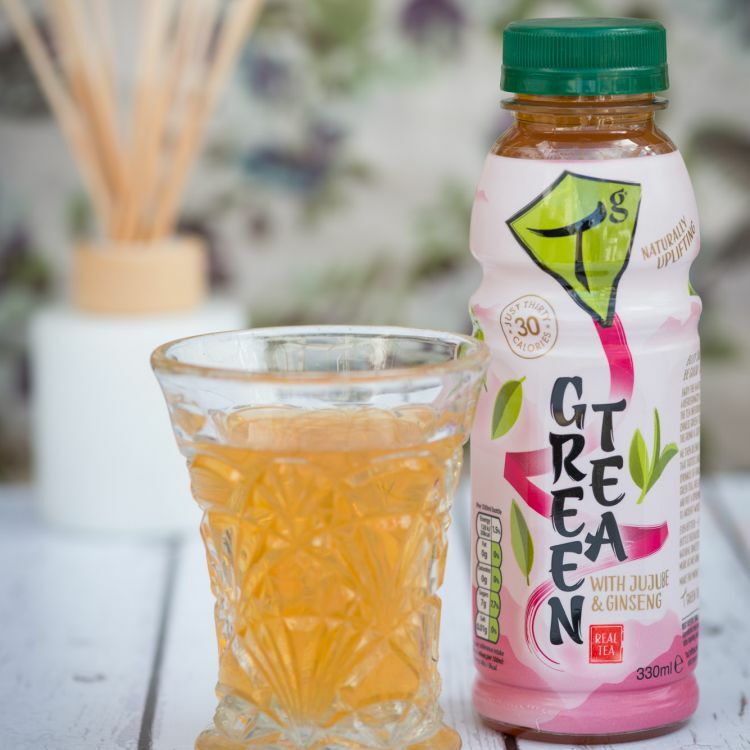 Refreshingly delicious and naturally uplifting green tea drink with jujube fruit and ginseng extract. Tg iced tea. Like nothing you’ve tried before. The tea infusion is made with real green tea leaves which give the drink a soft, crisp taste. 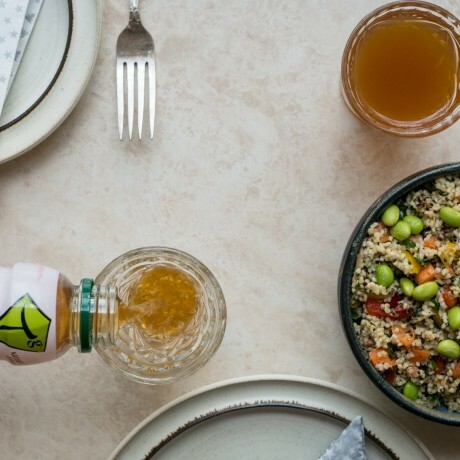 A sprinkle of ginseng and jujube fruit extract is then blended in to help strengthen your roots and put a spring in your step, according to ancient Chinese wisdom. Very lightly sweetened with cane sugar and stevia (30 calories and 1/2 the sugar in coconut water). Available to buy as a selection of 12 bottles (330ml each). No added preservatives, colours and artificial flavours. Global Beverage Packaging Design Award and World Beverage Innovation Finalist! 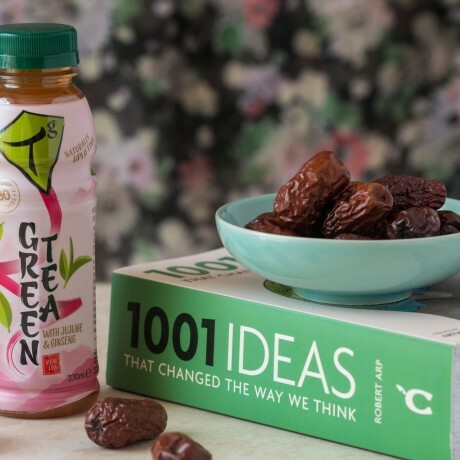 Water, Green Tea Infusion (4%) (Water, Chinese Green Tea Leaves, Cane Sugar), Jujube (Chinese Date) Extract (0.4%), Citric Acid, Ginseng extract (0.02%), Stevia. Nutritional information [per 100ml]: Energy 37kJ / 9kcal, Fat 0g (of which saturates 0g), Carbohydrates 2.2g (of which sugars 2.1g), Protein 0g, Salt 0g. Nutritional information [per 330ml bottle]: Energy 126kJ / 30kcal, Fat 0g (of which saturates 0g), Carbohydrates 7.2g (of which sugars 7g), Protein 0g, Salt 0g. Whenever I have bagged loose-leaf green tea lying around, I can almost guarantee it is what I will reach for the most when I’m looking for a quick cuppa above anything else I have. Therefore, it is quite important to be that that green tea be delicious! This product is dispatched by Tg Green Teas. This item has a shipping weight of 480g. Refreshingly hot and iced brewed teas, inspired by ancient Chinese culture, #FoodTech and colourful London street art.